Perma Grout is a fine cementitiouls powder which forms a neat slurry when mixed with water.This slurry is used for injection grouting. Injection grouting to arrest leakage has been an age old practice. If concrete is porous or honey combed the cement slurry which is used for injection grouting partly blocks the voids and capillary. 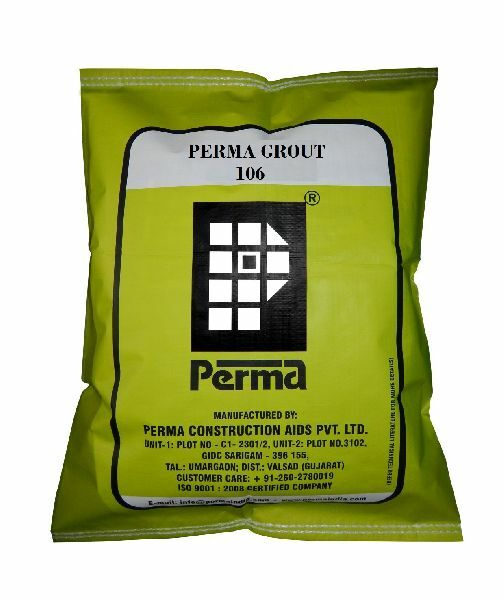 Perma Grout is a specialized cementitious powder which is designed for effective injection grouting of R.C.C Structure to arrest leakages. Perma Grout is also used for densifying loosened weak concrete. Packing : Perma Grout is supplied in 10kg and 25 kg sacks.